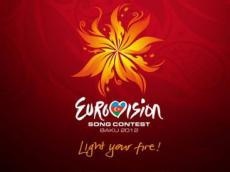 “Azerbaijan” Society in the United Arab Emirates is carrying out a campaign to popularize Eurovision-2012. The English-language “Gulf News” newspaper published an article on Eurovision-2012 song contest, and awareness-raising campaign. The article writes that at the initiative of chairman of the “Azerbaijan” Society Samir Imanov two great events were held to popularize Eurovision-2012 song contest. “Imanov, along with his compatriots, has been actively handing out brochures, magazines, calendars and booklets in various languages designed specially to promote the event and to spread awareness about Azerbaijan and Baku, its capital and host of this year`s event”. The article features interviews by the members of Society Khalida Mammadova, Samir Safarov, Aydan Zeynalova and others. The interviews provided information on Azerbaijan, its culture, art, history, traditions, Eurovision-2012 participant countries, underlined that the relevant contest made great contributions to the intercultural dialogue. “For her performance at the grand final, Azerbaijan`s entry Sabina Babayeva will perform When the Music Dies with singer Alim Qasimov, who will bring in a traditional element to her performance”, the article writes. The article underlined that “Azerbaijani pop duo Eldar & Nigar made history last year by becoming the first act from that country to win the contest, with their song Running Scared”. It also briefs the readers on the rules of the contest.